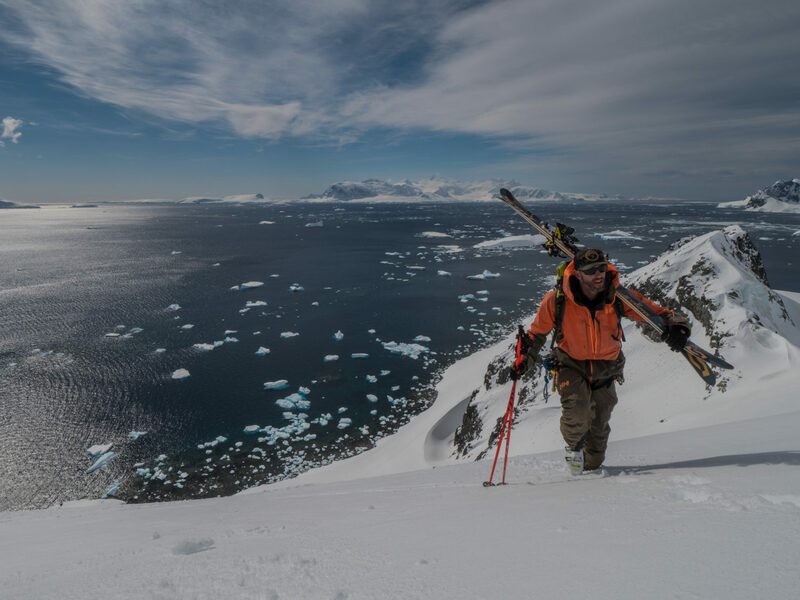 Intuition Liners athlete Miles Clark hiking up at 64º south latitude on Ronge Island, Antarctica in November 2017. image: Stein Retzlaff/Ice Axe Expeditions. In the early 1990s, a local Whistler Skier, Byron Gracie, began tinkering with his ski boots. He looked at the junky liners that came in boots at the time and thought there had to be a way to get both better performance and comfort out of your average ski boot. He figured that the key to better performance in a ski boot was the transfer of energy from the foot to the ski. At the time, unless you were in a racing plug boot (which were fit so tight as to almost negate what type of liner was in the boot), much of that energy was lost between the foot and the shell of the boot. 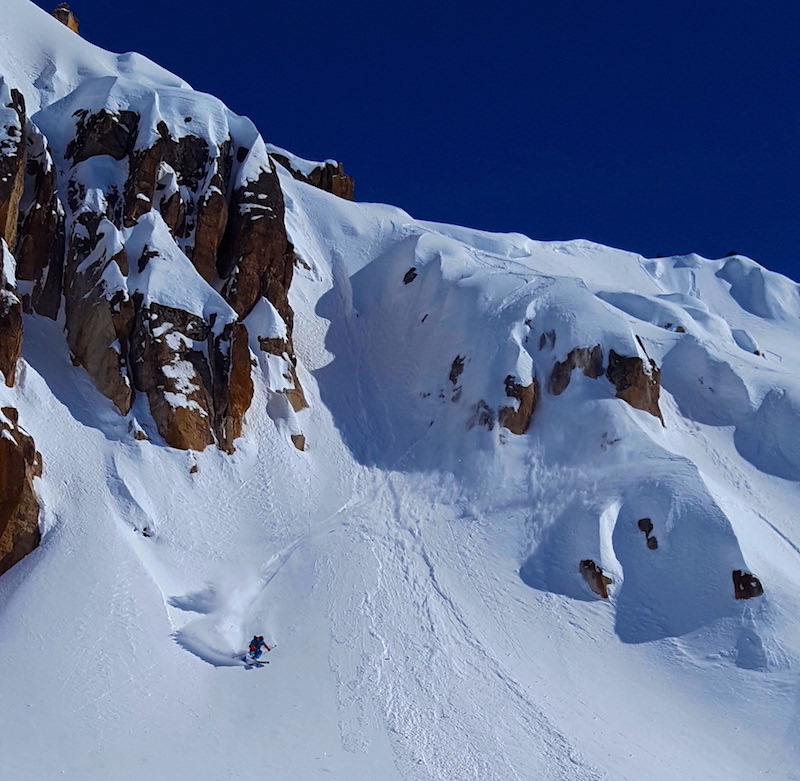 He reasoned that if you could make a liner that didn’t lose that energy, you could vastly improve the performance of the boot and your skiing in general. So in 1992, along with two friends, Rob Watt and Herb Lang, they made a little ski history and started a company called Intuition Liners. The search for what material they would make their liner out of was challenging. They wanted a material that was warm, light, stiff and wouldn’t break down over time and maintain a responsive connection between the foot and the ski. Working with a New Zealand company called Ultralon, they came up with an EVA foam that fit the bill perfectly. It was heat moldable, very light, stiff and warm. So came the birth of a new era in the ski and snowboard world. Intuition Liners, still based in Vancouver, were the pioneers of heat moldable, custom ski boot liners and have been pumping out those liners, as well as supplying companies like Scarpa, George goes on to Roxamis, Full Tilt and K2 with stock liners for years. But what makes them so good? What is it about Intuition Liners that have stood the test of time? Custom boot fitting has come a long way in those 25 years. But the great advances haven’t come in shell technology. Sure, there have been some good developments; lighter plastic, easier to punch boots and some new designs. But if you ask any good boot fitter what the key to a custom fitted boot is, they will more than likely tell you that it’s what’s inside the shell that counts. I spoke to one of the world’s best boot fitters about this exact thing. George McConkey has been fitting boots in Whistler for over 30 years. Coming from a famous ski family he learned his craft at his dad, Jim McConkey’s shop in Whistler. He now works out of Whistler Village Sports, a long time locally owned ski shop, custom boot fitting for skiers from all over the world. 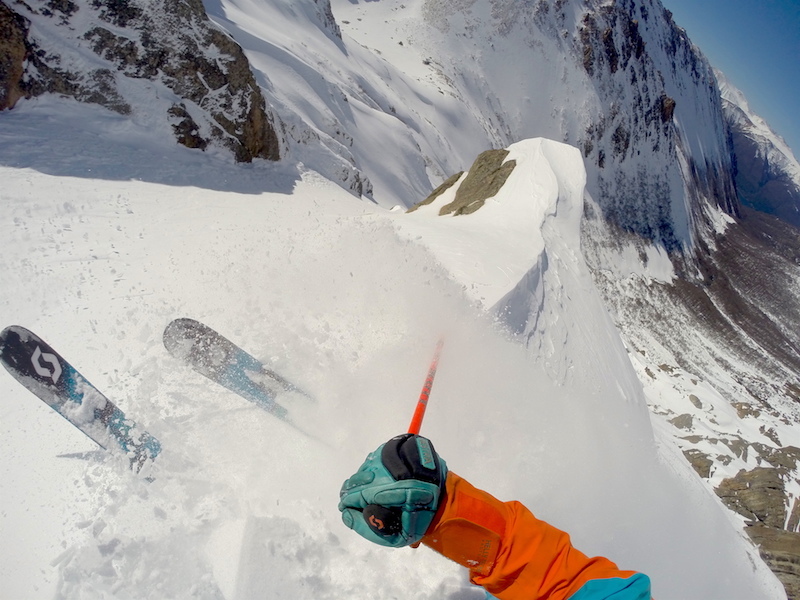 His clients include World Cup racers, big mountain shredders, ski patrollers and guides. I work 40-50 hours a week in my ski boots, world cup race stock boots, which are notoriously stiff, and they fit me like a slipper. That’s mainly because they have properly fitted, Intuition Liners in them. George goes on to say that while shell size and shape should be matched to the type of foot you have, the liners are the key. And he only works with Intuition Liners, which he sees as the best in the business. With Intuitions, George can “give someone great comfort and fantastic performance in their boots”. Fresh liners for the coming season. I even run them in my touring boots. There are other liners out there, but none of them have the staying power that Intuitions do. Foam injection liners tend to get a lot of press because they can custom mold the liner to your foot, with the same amount of pressure around every portion of your foot, a top selling point. The problem with that selling point, however, is that foam liners, once they’ve been fitted, don’t have a lot of give in them. George points out one of Intuition’s biggest features is they can be worked on more than once. So with foam injection liners, whereby foam is injected into a hollow liner, once they have been formed, there is less room for changing it. With an Intuition, during the break in, if there are pressure points or issues with your boot, the liners can be re-shaped, in concert with your shells, to get the perfect fit. Another unique aspect to Intuitions is the wrap in the liner. Most ski boots come with a stock tongue liner. So the liner itself has an almost separate tongue. Stock liners are fairly low quality, and are designed to be comfortable in the shop when you try them on, but within a couple of days of skiing, they pack out (get thinner) and your feet start floating around in your boot. Not good for skiing. Intuitions, while they do make tongue liners now for more specific purposes, are most famous for their wrap liners, which are still their bestsellers. Wrap liners are just that, both cuffs are elongated so when pulled tight, they wrap around your ankle inside your boot. This makes for a very precise fit and allows, depending on the boot type and thickness of liner you choose, to make a boot stiffer if needed and gives your lower leg more support. This in turn allows you to ski with your foot in a more relaxed state, which translates into the minimum amount of energy loss between your body and your ski. But the best thing about Intuitions, be it their wrap liners or tongue liners is they’re warm. So they offer the best of all worlds. They’re super light weight, they perform well, are heat mouldable, customized to your foot and they’re warm. Having warm boots can be the make or break part of any day on the mountain. If your feet are cold, you’re going to be miserable. How your ski boot fits, for anyone who spends any time in their boots, is absolutely critical to having a good ski day. Badly fitted boots can be excruciatingly painful and can do damage to your feet. If what’s in between the shell and your foot is sloppy, too soft, too tight or doesn’t hold its shape over time, your skiing will suffer. 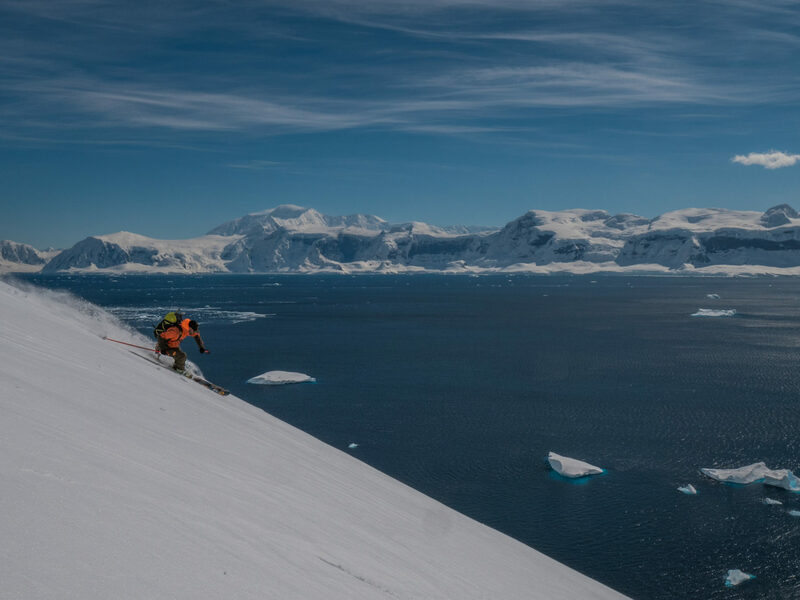 Intuition athlete Miles Clark spine slashing in Argentine Patagonia. While Gracie and Lang left the company for other pursuits, Rob Watt continues to be heavily involved. Intuition now manufacturers their own foam and a few years ago opened a state of the art production facility overseas. The recipe for that EVA foam hasn’t changed much in that time because it works. Over its history, Intuition has thoroughly broken the myth that comfort and performance in a ski boot can’t exist together. And the boot fitters out there who use Intuition Liners will tell you that. Intuitions, with their crafty recipe of EVA foam, make the best liners in the world. I have worked in Intuitions for over ten years and I will never go back to a stock or foam injected liner, both of which I have spent time in. My feet are happy, day in and day out, and that is because of Intuition Liners and my local boot fitter, who just happens to be a bit of ski legend himself. Be safe, ski hard and get your boots fitted.